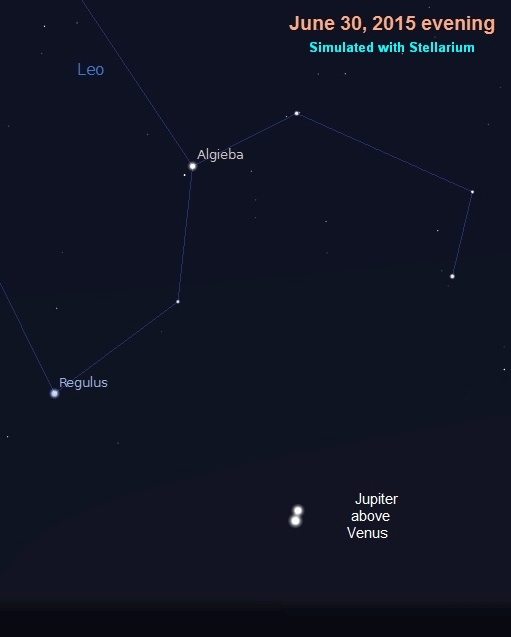 Mercury is a morning object close to Aldebaran at the start of July. It’s getting hard to see in the sun’s glare by mid month. It will be close to Mars around the 17th and then drop below the red planet which will become a little easier to see before sunrise by the end of July. The best views of both will be near the equator. Use binoculars to help. Mercury is moving fast. It’s at superior conjunction on the 23rd. The moon is full on the 2nd, at last quarter on the 8th, new on the 16th, at first quarter on the 24th, and full again on the 31st. Some people have taken to calling the second full moon in a month a blue moon. This is because of an error Sky & Telescope magazine made in the 1940s when trying to determine why an almanac published a few decades prior referred to some moons by the name. After it became a popular question in trivia games in the 1980s, the magazine writers sought to determine the fact’s source. They were surprised to learn it was their own magazine. The moon is farthest south at the beginning of July, farthest north on the 14th, and farthest south again on the 28th. Lunar perigee (closest to Earth) is on the 5th and apogee (farthest from Earth) is on the 21st. Earth is at aphelion (closest to the sun) on the 6th. Mercury is at perihelion on the 16th. Fans of Pluto may want to know that it is at opposition on the 6th. At nearly 32 earth-sun distances away, it takes a large telescope and very dark sky to see it. Ceres, the first asteroid discovered, is an easier object to see. It’s at opposition on the 25th just 1.9 earth-sun distances away. 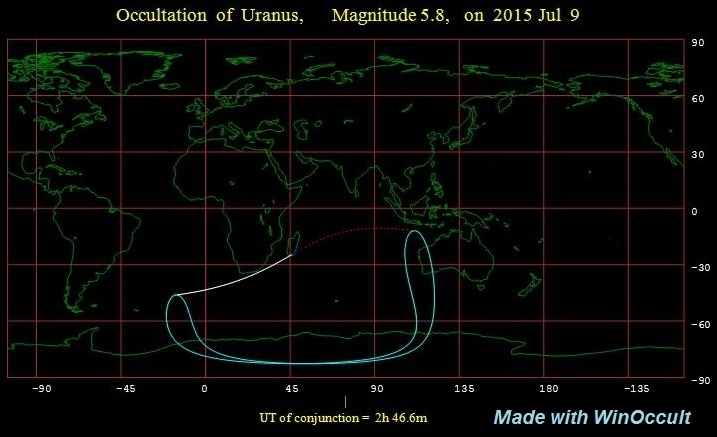 The moon will occult Uranus on the 9th. Viewing will be from ocean areas south of Africa. Try to look for Delta Aquarid meteors on the 28th and 29th after midnight. The nearly full moon will keep you from seeing some of them.